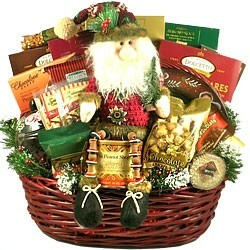 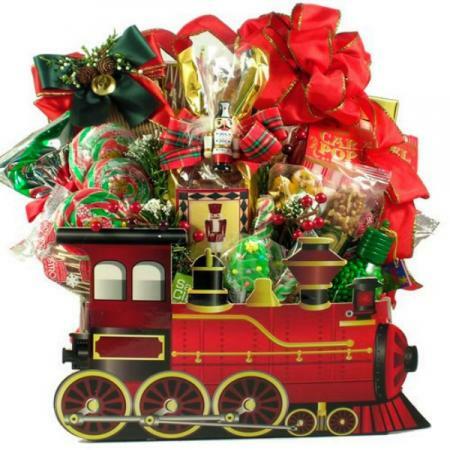 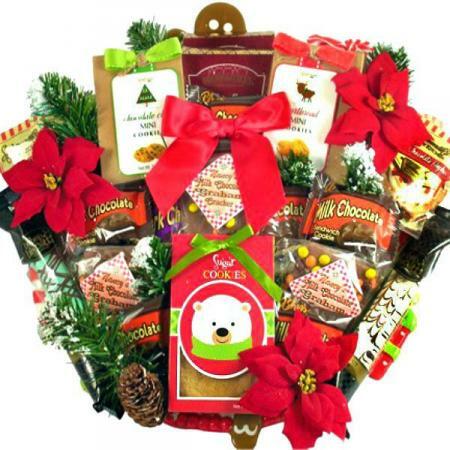 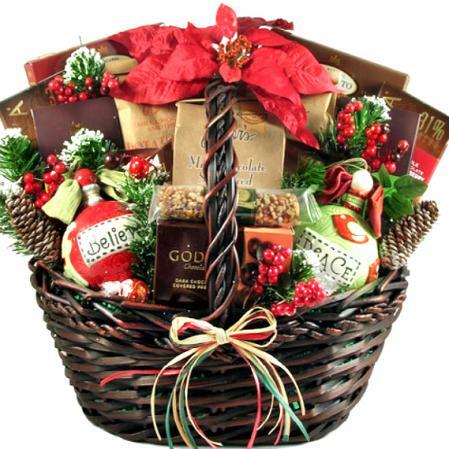 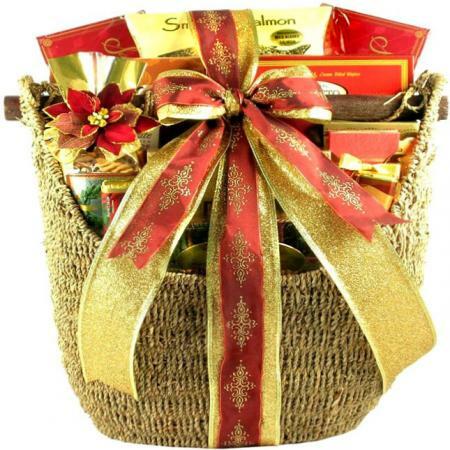 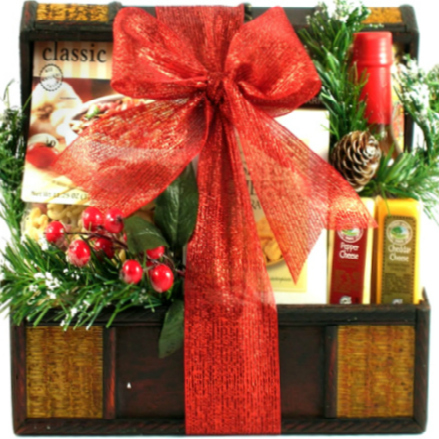 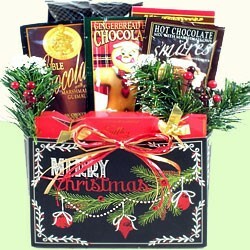 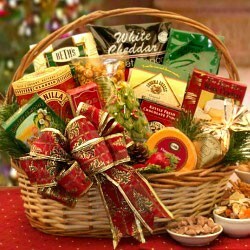 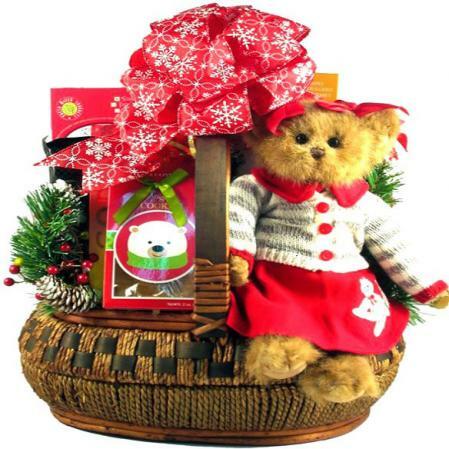 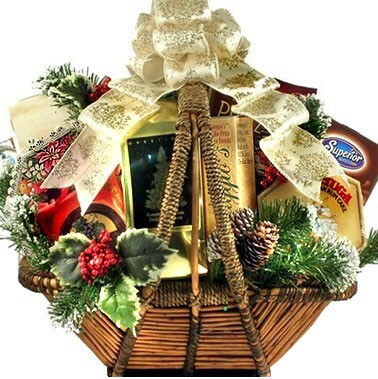 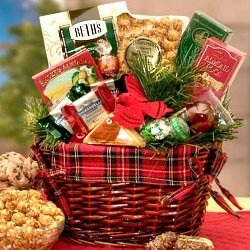 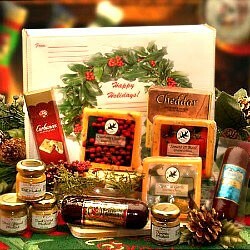 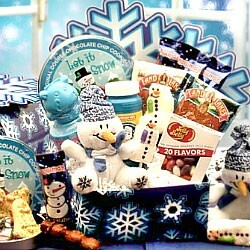 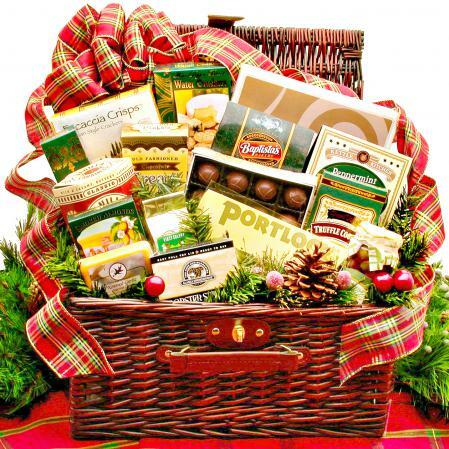 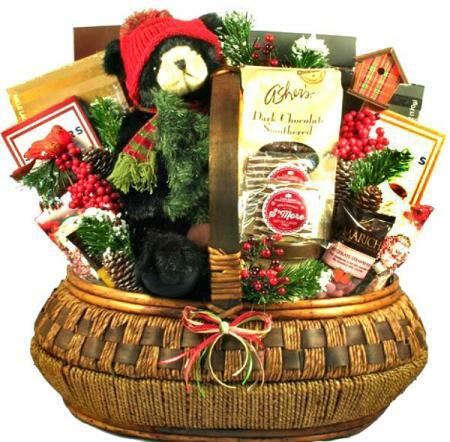 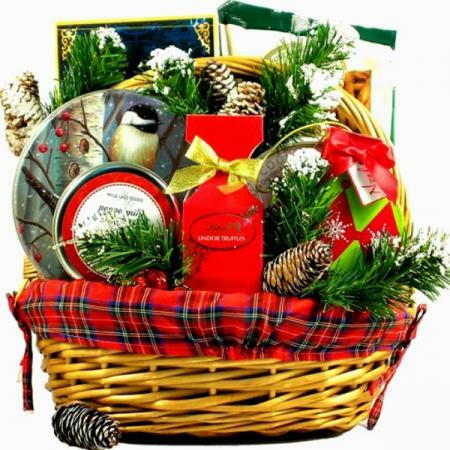 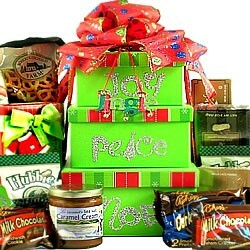 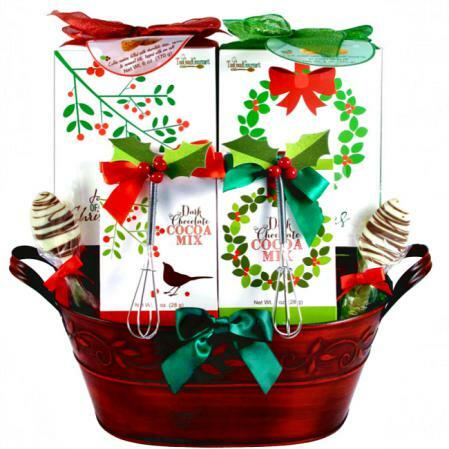 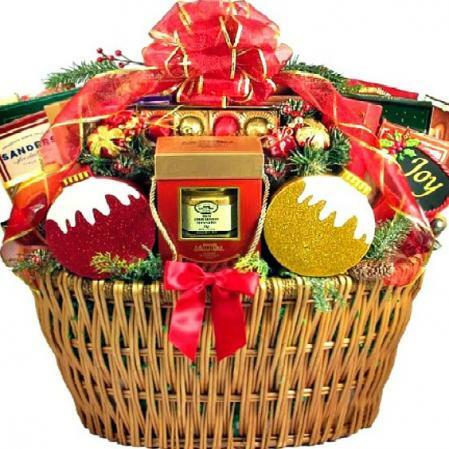 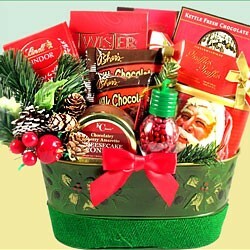 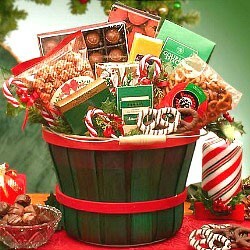 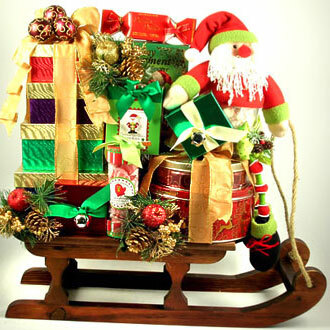 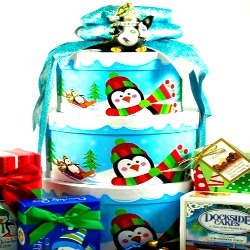 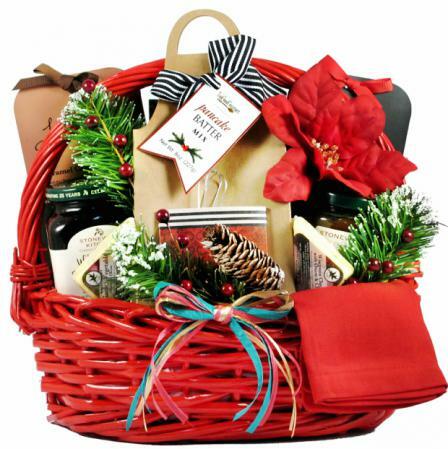 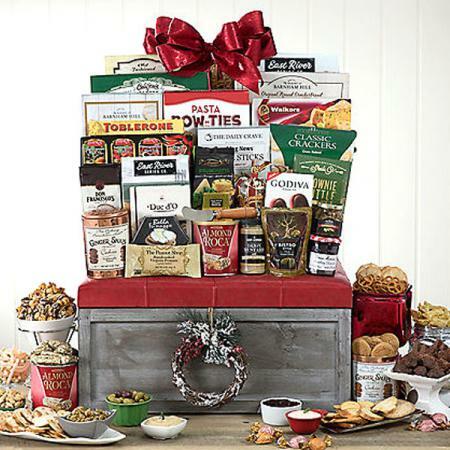 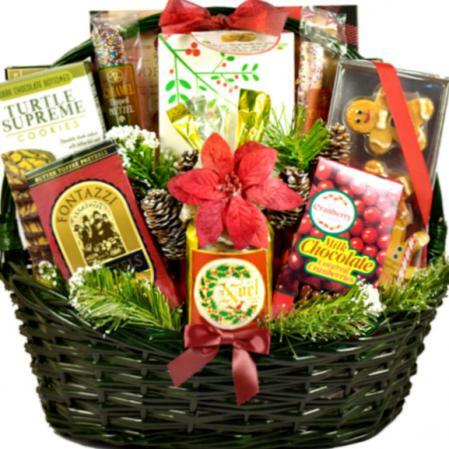 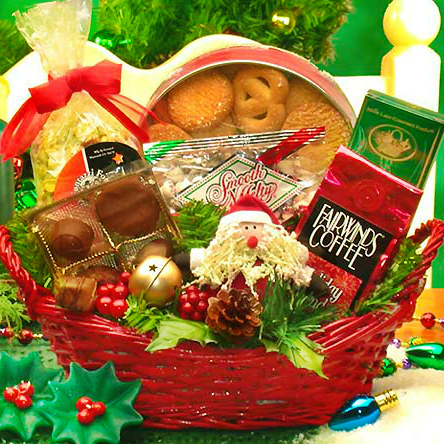 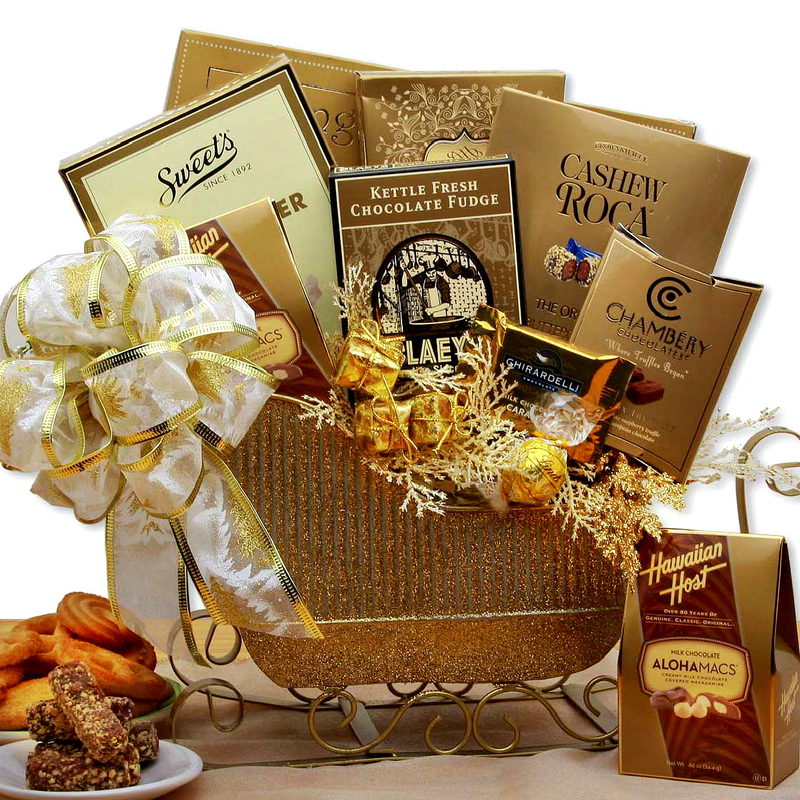 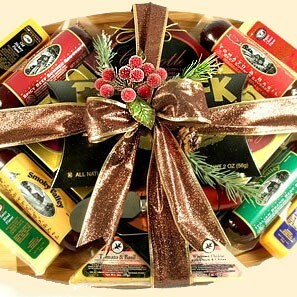 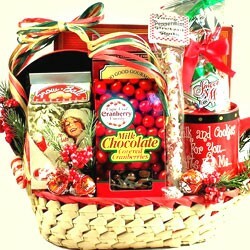 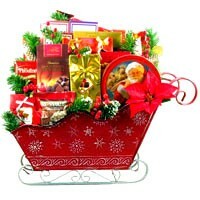 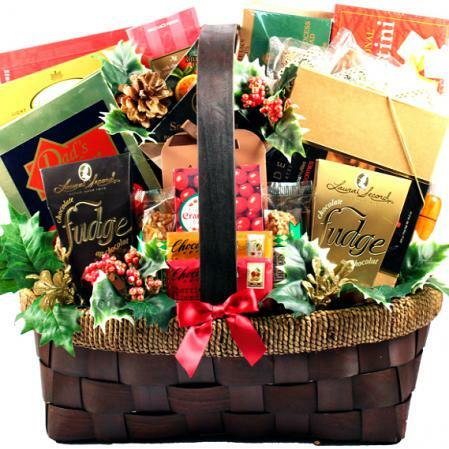 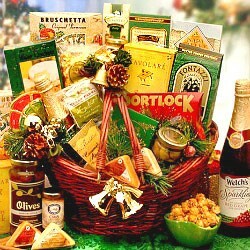 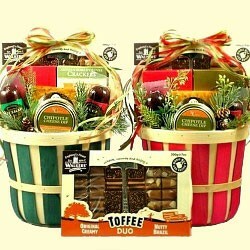 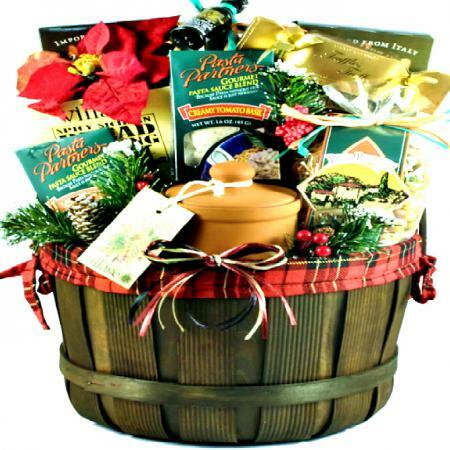 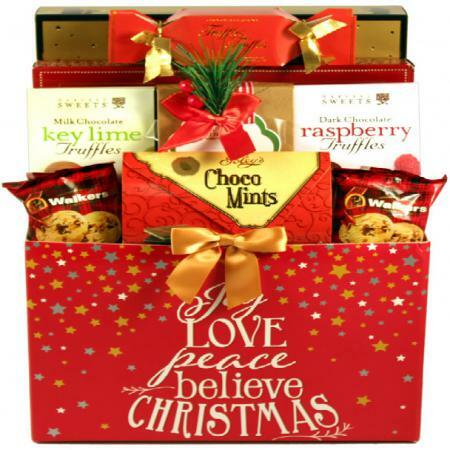 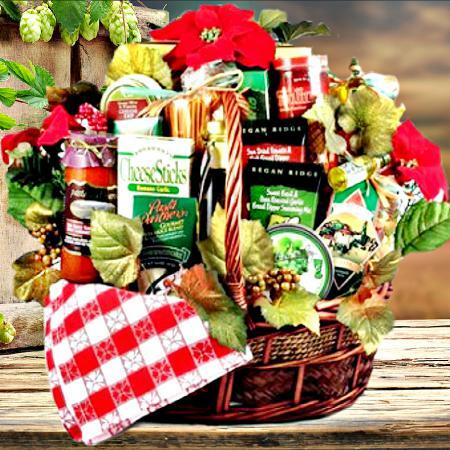 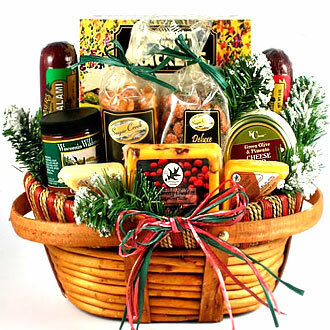 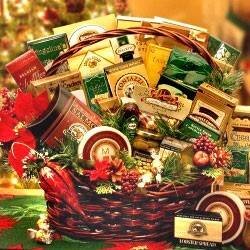 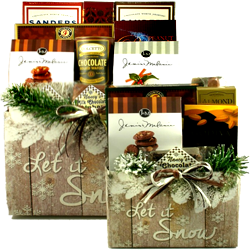 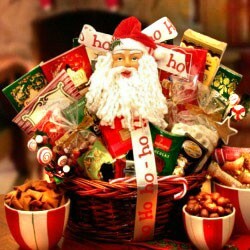 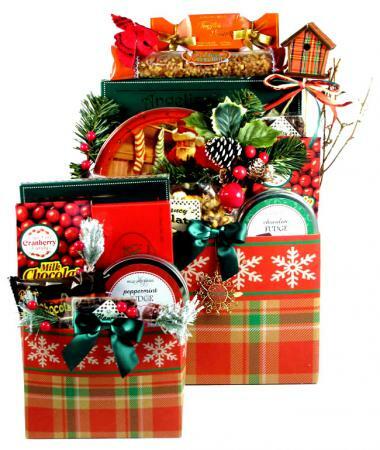 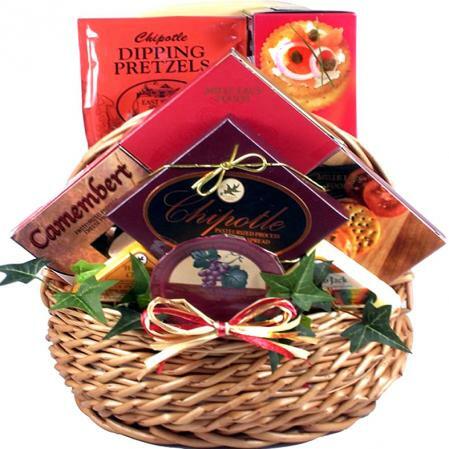 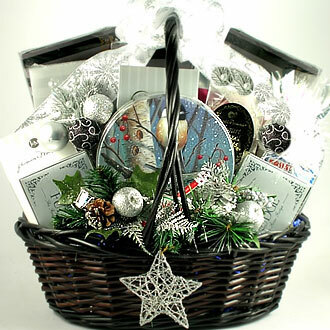 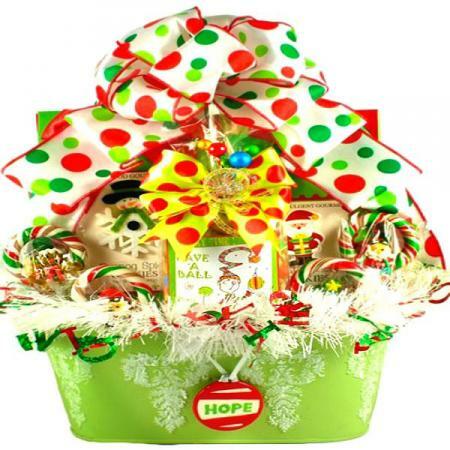 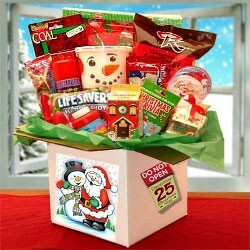 Let it snow as they enjoy this beautiful holiday sleigh gift basket. 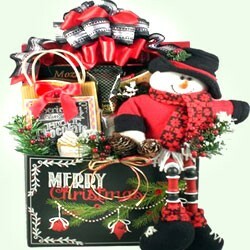 This beautiful holiday gift basket arrives wrapped in cellophane and topped with a gorgeous handmade bow. 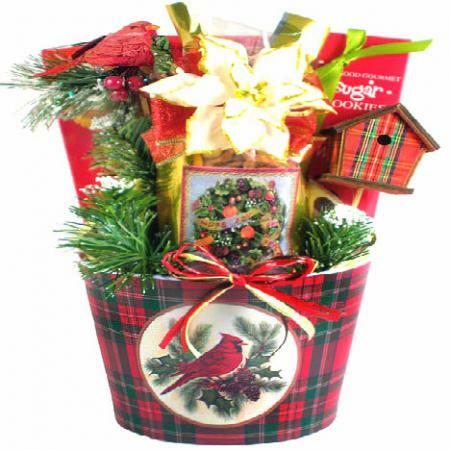 decorated with mini presents and winter spruce. 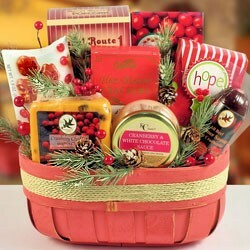 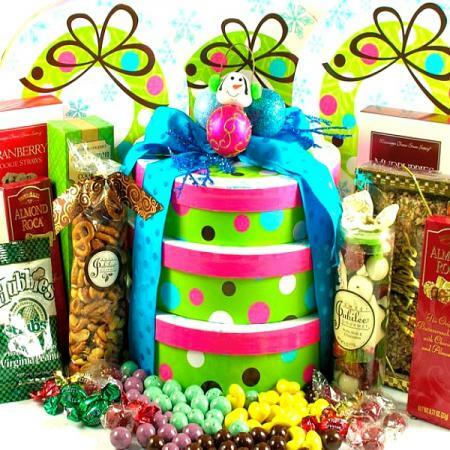 This beautiful holiday gift basket comes wrapped in cellophane and is topped with a gorgeous handmade bow. 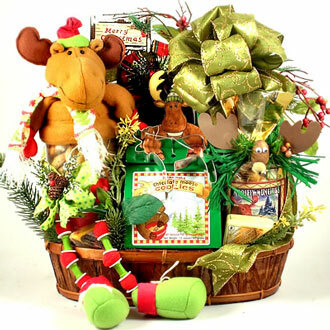 The completed gift measures 13 inches long by 6 inches wide and 13 inches tall and weighs 4 pounds.